id Software co-founder John Carmack has officially joined the Oculus Rift team as chief technology officer. The gaming pioneer will be working with the virtual reality headset of the same name on a full-time basis at the company’s new office in Dallas, Texas. In a press release, Carmack said the dream of virtual reality has been simmering in the background for decades but now, the people and the technology are finally coming together to allow it to reach the potential many have imagined. He said he was extremely excited to make a mark in what he believes will be a transformative technology. A Bethesda spokesperson told Gamasutra that John has been interested in working at Oculus VR and wishes to spend time on that project. Furthermore, the leadership that he provides for games in development at iD Software is unaffected. 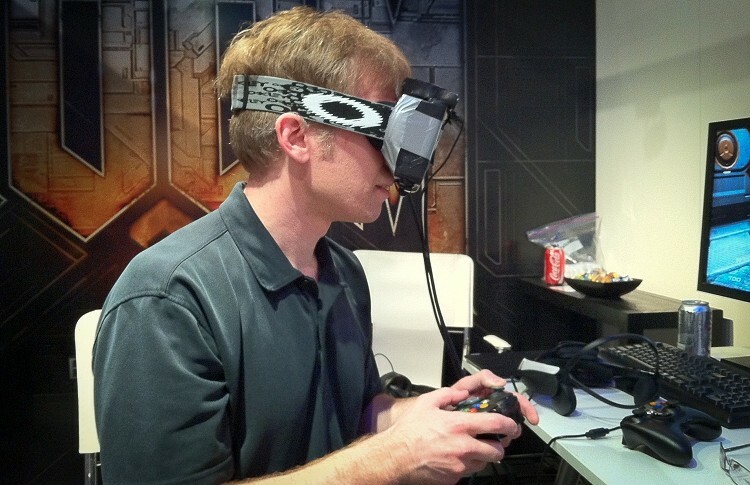 Meanwhile, an Oculus spokesperson noted Carmack was a full-time employee at Oculus VR. Carmack has been in cahoots with the Oculus Rift team for at least a year. During an interview in June of 2012, he said he was hard at work on a virtual reality headset and spent most of his time demonstrating it with Doom 3 BFG Edition at last year’s E3 convention. The headset eventually hit Kickstarter and raised nearly $2.5 million. The rest, as they say, is history. Last we heard, the company planned to bring the Oculus Rift to market at a target price of $300. A commercial release date, however, has not been set.